Lausanne, Switzerland, July 7, 2016 - Last year's FIVB Volleyball World League Group 2 winners were France. And their glorious story is well publicised. France went on to win their first World League title before being crowned European champions. They will be among the favourites to win gold when they travel to Brazil for the Rio 2016 Olympic Games. The four teams in this year's Group 2 Finals - Canada, Portugal, Turkey and the Netherlands - would love to be as successful. The second title in the 2016 edition of the World League, and with it promotion to Group 1, is up for grabs in Matosinhos, Portugal, on Saturday and Sunday after Slovenia triumphed in Group 3 last weekend. Group 2 Preliminary Round winners Canada go into the Final Four as favourites. They are riding on the crest of a wave following their successful qualification for the Olympic Games in Rio, and won their first eight Preliminary Round matches in the World League. 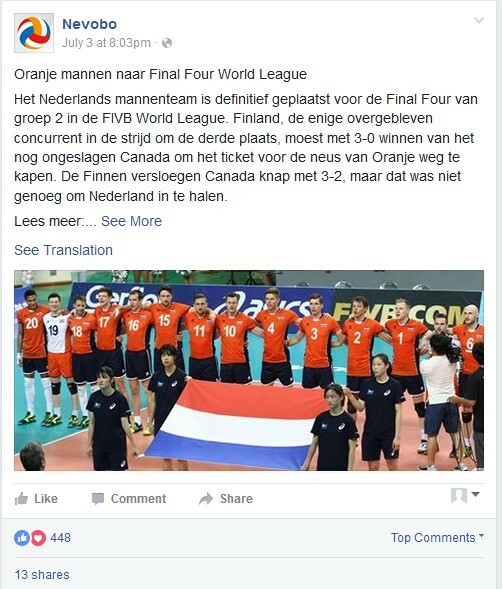 Only in the final match, when qualification for the Final Four was already guaranteed, did Canada lose 3-2 to Finland. “This was of course a disappointing end for us because we had won all the previous matches. But we must forget this and concentrate on the Final Four. We want to take the title,” said Fred Winters, captain of Canada. Finals hosts Portugal are looking forward to one of the biggest volleyball events in their country ever and will want to draw inspiration from the passionate fans at the Centro de Desportos e Congressos de Matosinhos. That will be a tough task. A Finals host has drawn on the support of a home crowd to win continental Group 2 on one occasion in the past, however. In 2014, Australia defeated France 3-2 in the final in Sydney. Portugal are hoping for a similar outcome in Matosinhos. However, to progress to the final they must first defeat their semifinal opponents on Saturday. The Netherlands, who won the World League in 1996, won 3-0 when they met Portugal in this year's Preliminary Round. 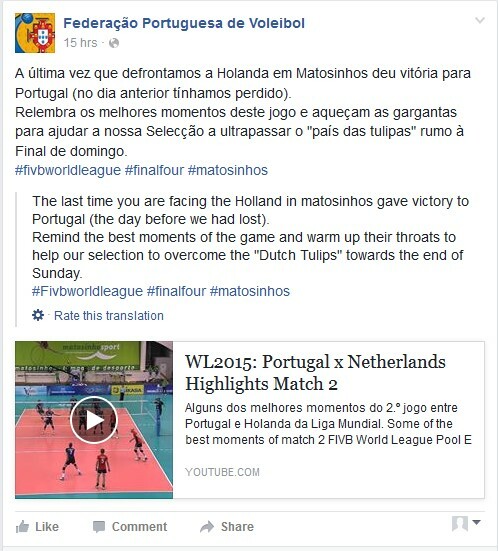 The Portuguese will probably prefer to cast their minds back to 2015, when they defeated the Netherlands in Matosinhos. It is 20 years since the Dutch team won the World League and Olympic gold and the tournament in Matosinhos may be their chance to celebrate that anniversary in style.